If you are wondering whether to testify in your defense, one of the first things to consider is whether you will have time to prepare with your lawyer. You have the right to testify in your own defense if you are facing criminal charges However, whether or not taking the witness stand in your own defense is a smart idea – namely, whether testifying will help your case – will depend on a number of factors, and defendants should carefully consider all of these factors before testifying to ensure that they don’t inadvertently hobble their own defense case. Here and in upcoming second and third parts of this blog, we will discuss some of the most important considerations that defendants need to know as they are making the decision regarding whether to take the witness stand during their criminal trial. Being able to prep with your lawyer is vital – If you are eager to tell your side of the story and take the stand during your trial, it will be crucial that you make time to prepare for this testimony with your lawyer. Speaking in your defense in a formal court of law is unlike anything that you likely experienced in the past, and your every word can make a significant difference in the minds of the jurors.By working with your defense lawyer to practice your testimony, you can reduce the chances that you will say something you don’t mean to say and, in turn, can give yourself the best chance of putting your best foot forward as you testify in court. 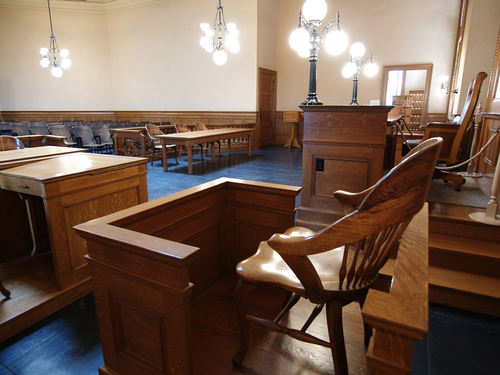 Check out our upcoming second and third parts of this blog for the rest of the issues that need to be considered when defendants are deciding whether they should take the witness stand in their defense during a criminal trial.